This is my latest creation! If you have trouble remembering to refer back to your common core "I Can" statements, look no further for help! 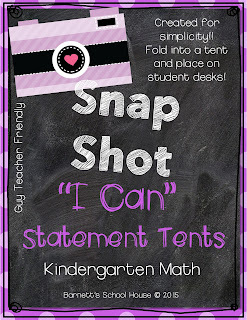 These FREEBIE ELA "I Can" statement tents are sure to be a great and simple reminder during your day to day tasks. All grades coming soon! I currently have Kindergarten and fourth grade completed!